VoltDB / 5G / How Long Will 4G Survive When 5G Takes Hold? Digital competence: that is the name of game. From the humble beginnings of the world wide web, we are now on the verge of reaching a wireless digital utopia where connectivity and new information are as simple as the proverbial touch of a fingertip. Some people believe, and will argue, that we are already there — with the fourth generation broadband cellular network technology, more commonly known as 4G, reaching its maturity in market and consumer use. However, innovation in technological advancement marches on, bannered by the highly anticipated 5G network. 5G promises data speeds of up to 10GBps with latency virtually erased. With such promise, however, questions will arise. Can 5G reach its full potential on its expected timeline? What will happen with 4G considering that up until now developers are still working on upgrading this network? How will it affect the modern business landscape? What is 4G offering at the moment? 4G quickly became the global standard over 3G for Internet browsing, media and DL/UL speeds, upending 3G MUCH faster than 3G replaced 2G. Faster speeds and lower buffering enabled users to maximize high definition features on smartphones and other OS-based gadgets. Currently, 4G speed has an average of 20MBps depending on geographic location. The premier level of 4G is now operational in some areas is called 4.5G LTE-A, or Long Term Evolution Advanced. As the name suggests, it can provide even faster wireless data payloads than 4G. Top communications service providers are looking to deploy network upgrades like NarrowBand Internet of Things (NB-IoT) and MulteFire on 4.5G. 5G is marketed as the future of network communication with superiority over 4G in every perceivable way. 5G possesses astounding improvements in speed, capacity, and coverage over 4G – testing download speeds of up to 50GBps and network operation in the 24GHz and higher frequency ranges. This means ultra-high capacity with extremely low latency, and coverage range that is only limited to the provider’s capability. Imagine streaming your favorite movie or playlist while on the go in a matter of seconds, no matter where you are with zero latency. Forget optic fiber, 5G can provide similar, if not faster, speeds and data capacity to your home or business. Even with these towering features, its real-world functionality is still yet to be experienced commercially. This process will involve numerous beta testings, user trials, and revisions. As of the moment, primary stages of trials have been done in the United Kingdom. The first widely commercial launch of the network is estimated to start in the latter part of 2020 with worldwide coverage probably taking years. How will 5G affect 4G and life in general? In the world of mortals, 4G may provide all needed capacity for personal and even small business needs. However, AR/VR, smart cities, mobile gaming, production, and logistics will all improve on 5G maximum capacity networks. What is the difference? Scale and utility. Many commercial applications making full use of 5G are still in the blueprint stage! 4G LTE is still improving as well. 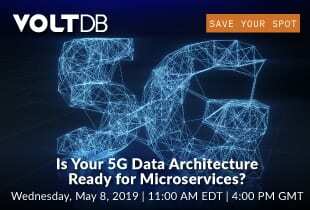 However, many experts believe that innovations like NB-IoT and MulteFire will move primarily to 5G if the network tests as a stable alternative within its timeline. As a collective society, we are finally in a position of real choice when it comes to utility for our daily digital needs. Will you put yourself on the bullet train to tomorrow (5G), or do you want to stick with the commercially sound, definitely fast enough standard (4G)? Will you be the first person on Tesla’s commercial space voyage, or will you just watch it on TV? Is your business looking to upend its competition through technological dominance, or will you accept technological parity and fight through pricing models and marketing schemes? Let us know — what are your plans for applications in the 5G revolution?